Castle San Cristobal, San Juan, Puerto Rico - Castillo San Cristobal Fortress. 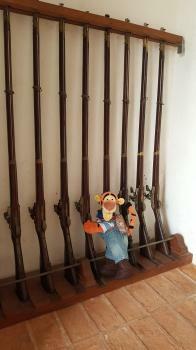 : 2 of 4 - #History in #SanJuan, #PuertoRico Tigger Travels - Family Adventure Journal Photos From Tigger`s Travels and MORE! Tigger likes getting into trouble. Case mate with bunks, table and weapons storage for fast responses in emergencies. The walls of the Castle San Cristobal, Old San Juan, Pr are made up of a series of these casemates. 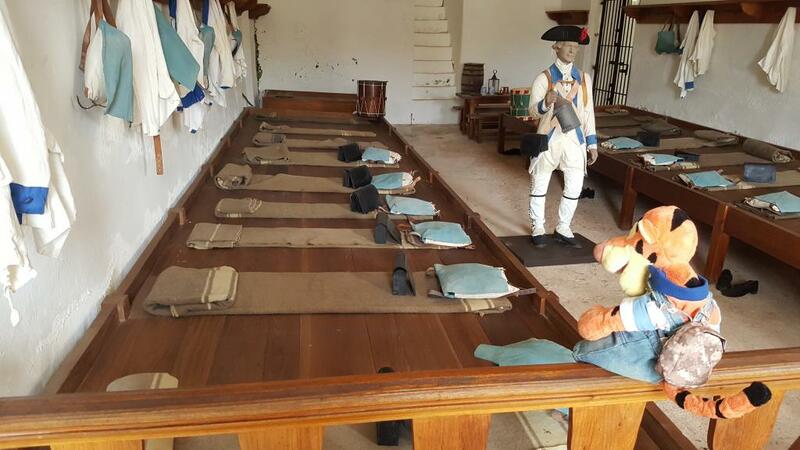 Most are gun chambers where a canon would be placed pointed out an opening in the back but they served many uses from quarters to armories and storage to kitchens and mess halls. An all inclusive casemate that served many purposes in one is all set up in the main area of the fort. 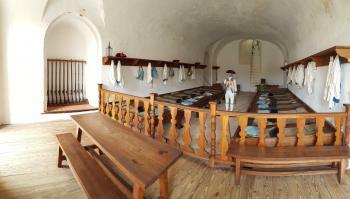 Bunks, table for meals and writing, small armory and even a back exit. Tigger thinks that these bunks look a little hard to sleep on. 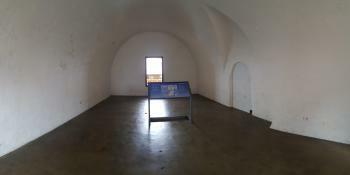 The stairs seen in the back of this chamber lead up to another level of the fort and provide quick access to a soldier's post in case of an alarm. Um... Tigger? I am not so sure you should be playing with those! There is also an artist rendition of another casemate that serves as the soldiers mess.